ASUS has introduced its first miniature workstation, the Mini PC ProArt PA90. The new system has Intel’s eight-core CPU, NVIDIA’s Quadro graphics, a high-performance storage subsystem, and has four display outputs. One of the interesting features of the Mini PC ProArt PA90 is its form-factor that loosely resembles that of Apple’s Mac Pro launched five years ago. The ASUS Mini PC ProArt PA90 tiny workstation is based on Intel’s Z390 platform and can be equipped with eight-core Core i7-9700K or Core i9-9900K processor paired with NVIDIA’s Quadro P2000 (GP106GL, 1024 cores) or Quadro P4000 (GP104GL, 1792 cores) graphics. Using such components inside a miniature PC is tricky to say the least. The Core i9-9900K features a TDP of 95 W, but it can get higher under high loads when the CPU runs at Turbo clocks, unless ASUS is manually adjusting peak consumption (as other mini-PCs do). As for the GPU, the Quadro P4000 can dissipate up to 105 W. To ensure that the processor delivers consistent performance, it is equipped with a custom designed all-in-one liquid cooler. When the CPU temperature exceeds 80°C, the PC automatically lifts its top cover to enable a better airflow. Meanwhile, keeping in mind that the system will come with a 180 W or a 230 W external PSU, cooling may not be the main bottleneck here. Moving on to DRAM and storage. Memory subsystem of the machine is comprised of up to four SO-DIMMs supporting up to 64 GB of DDR4-2133 memory, which is standard for PCs of this class. As for storage subsystem, the Mini PC ProArt PA90 can be equipped with two M.2-2280 SSDs (PCIe 3.0 x4 or SATA) and one 2.5-inch storage device. 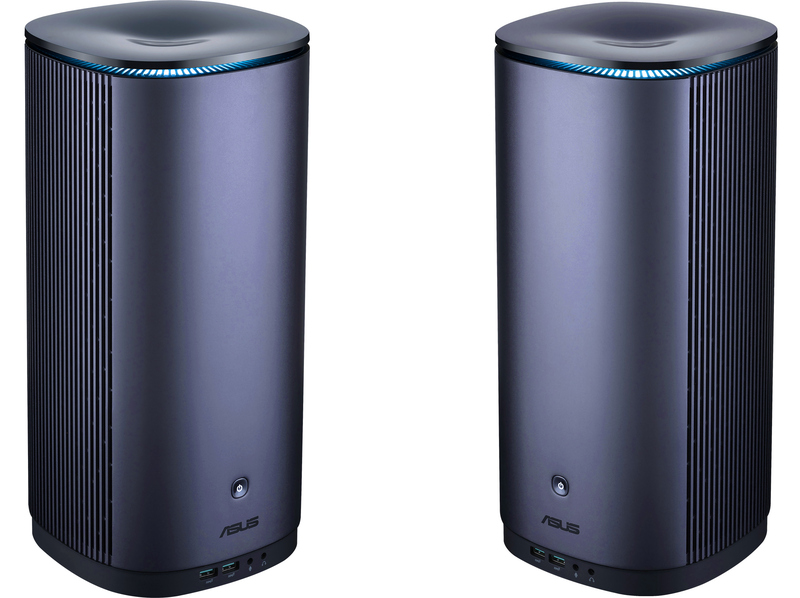 Being aimed at professionals, the small form-factor workstation from ASUS has an appropriate set of connectivity options. The PC is equipped with four DisplayPort 1.4 outputs (depending on the GPU), two Thunderbolt 3 connectors, four USB 3.1 Gen 2 ports, one GbE, and audio jacks. Time to talk about the key selling point of the Mini PC ProArt PA90: its dimensions. The system is 365 mm tall, features a diameter of 176 mm, and weighs 5.8 kilograms. The SFF workstation is larger and heavier than Apple’s Mac Pro, though not dramatically. 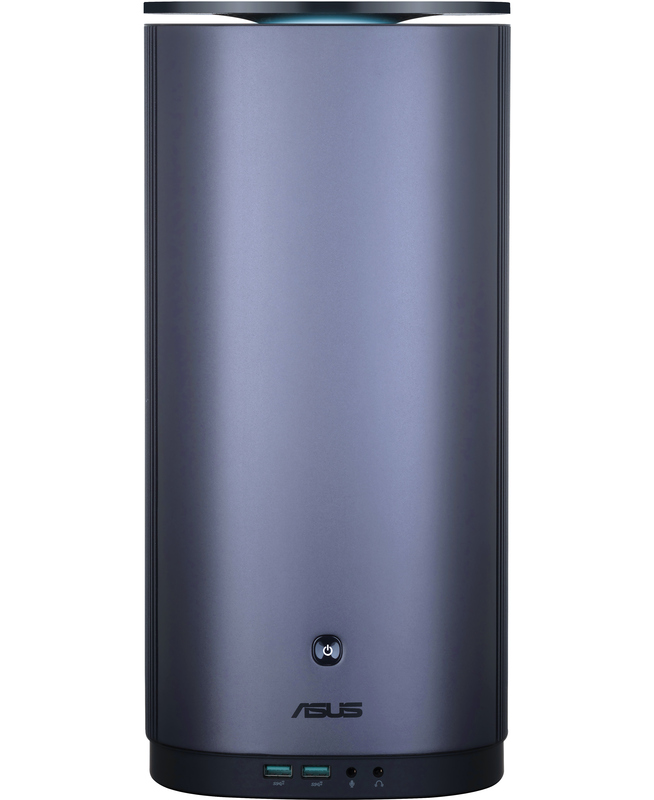 Furthermore, larger dimensions may mean that ASUS has managed to integrate a better cooling solution, which is clearly welcome in case of an SFF system. ASUS plans to start sales of its in the coming months, but it has not announced when exactly. Pricing of the SFF workstation is something that remains to be seen as well, but keep in mind that we are talking about a workstation-class machine that will use appropriately-priced components.